While logging onto my Facebook account last Thursday, I came across a CNN article linked from my colleague in Kentucky. The intriguing, alarming title says it all: “U.S. measles cases in 2013 may be most in 17 years.” Even though the number of annual cases has significantly plummeted over the past few decades, measles still raises concern given its severity. To complicate the dilemma further, how can pharmacists correctly identify patients who may be at risk for measles if the incidence has been low? As a pharmacist in New Jersey and Pennsylvania, pharmacists cannot administer immunizations to anyone under 18; meanwhile, several states establish provisions for pharmacists to administer immunizations to anyone regardless of age, provided that the vaccination would be beneficial for the patient. So how do we overcome this potential problem? Based on the CDC website for measles, the incidence of measles in the United States has dropped 99% over the past few decades – from 3 to 4 million annual cases in the 1960’s to only 55 annual cases in 2012. As promising as that statistic is, the CNN article cites that the CDC reported 159 cases so far from January 1 to August 24 of this year alone. Additionally, there were 222 nationally reported measles cases in 2011. CNN also cites that although measles was on the verge of eradication in 2000, international travel from foreigners in countries with a high incidence of measles has resulted in the number of cases slowly creeping back up. 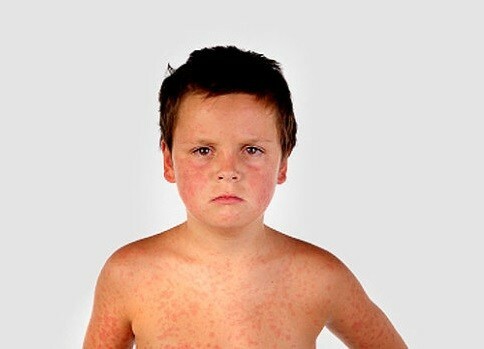 Even with the best medical care any child will receive, measles is the most deadly of all childhood rash/fever illnesses. * Has recently had a transfusion or received other blood products. As pharmacists, it is our responsibility to ensure patient-centered, cost-effective pharmaceutical care is offered to all patients, including our youngest ones. Some ways we can ensure protection for our pediatric patients is to equip parents with the necessary information regarding measles and the MMR vaccine, maintain collaboration with the caregiver and the child’s pediatrician, and maintain proper follow-up with all parties involved. By doing so, we can reduce the incidence and severity of measles, reduce any unnecessary healthcare spending, and improve the child’s (and caregiver’s) quality of life. CDC (2009, Sep). Measles Vaccination. Vaccines: VPD-VAC/Measles/main page. Retrieved September 18, 2013, from http://www.cdc.gov/vaccines/vpd-vac/measles/default.htm#concerns. Cohen, E. (2013, Sep). U.S. measles cases in 2013 may be most in 17 years. CNN Health. Retrieved from http://www.cnn.com/2013/09/12/health/worst-measles-year/index.html?iref=allsearch. MMR Vaccine: What You Need to Know. (2012, Apr). In Vaccine Information Statement: MMR (Measles, Mumps, Rubella) – Vaccines – CDC. Retrieved from http://www.cdc.gov/vaccines/hcp/vis/vis-statements/mmr.pdf.